Offering full powder coating and sandblasting facility service to Manhattan, Bronx, Westchester, and the Greater New York area. In a large capacity oven, we can service your projects, large or small. We will transform your item with an almost endless array of colors and textures, for finish that will last for years to come. Our mission is to provide outstanding quality and value every time. We use an electrostatic spray to apply a positively charged dry powder, containing resin, modifiers, and possibly a curing agent, onto the negatively charged metal piece. We then heat the piece in an oven to melt the powder and form a continuous protective or decorative film. 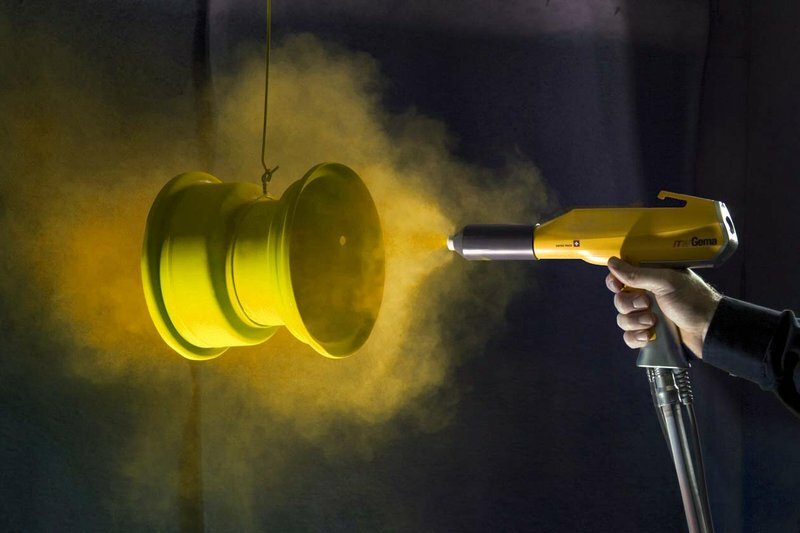 Other than being of superior quality, powder coating is highly resistant to damage or corrosion and maintains color vibrancy longer than paint or liquid coatings. 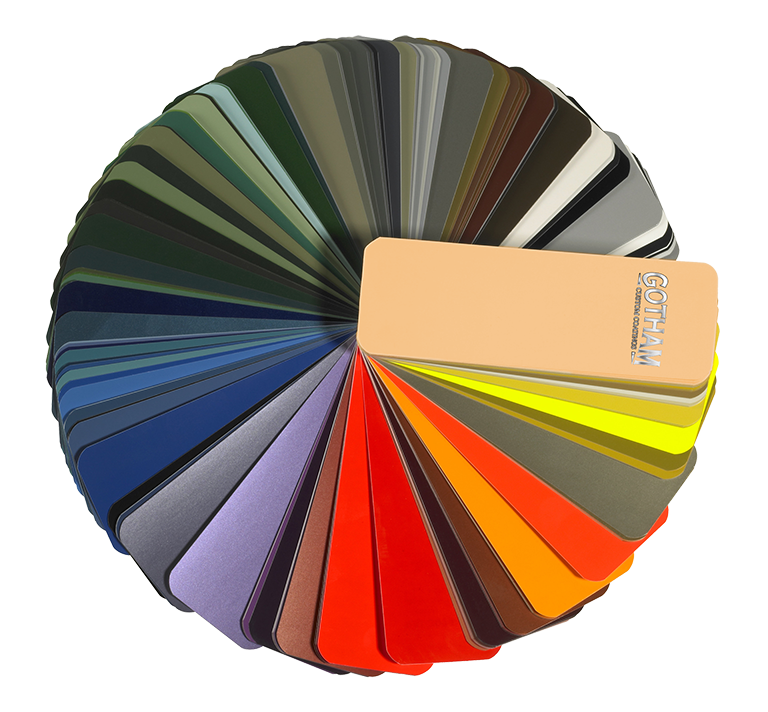 A wide range of colors, textures (e.g., glossy, matte, rough), and effects (e.g., glitter, candies, gloss) are available at Gotham Powder Coating. Proper care and maintenance will ensure that your powder coat remains vibrant and long lasting. Take a look at our care and maintenance sheet to find out more. At Gotham Custom Coatings, we believe that the key to a successful finish is in the preparation. At our facility, we have all the necessary equipment to safely and effectively strip old paint or coatings from your metal parts. Depending on the item, preparation may include chemical dipping, power washing, and sandblasting. We forcibly spray an abrasive material onto an item to remove surface contaminants and condition the surface. Sandblasting removes grease, rust, dirt, or old paint from most metal objects. It’ll make it good as new or prep your object for powder coating. Electrostatic spray-painting uses a static charge to attract the paint molecules to the metal object to be painted. This creates less over-spray, less mess, and less clean up than traditional spray-painting. It creates a smooth finish that makes the finish look factory fresh.